The words ‘Maltese Out’ which were seen written on a wall at Luqa did not last long as they were removed by workers of the Cleansing Directorate a few hours after they were spotted. The graffiti led to a controversy with many persons speculating on the aim behind the perpetrators. It is not excluded that the words may have been written in order to raise fear and hatred towards foreigners. 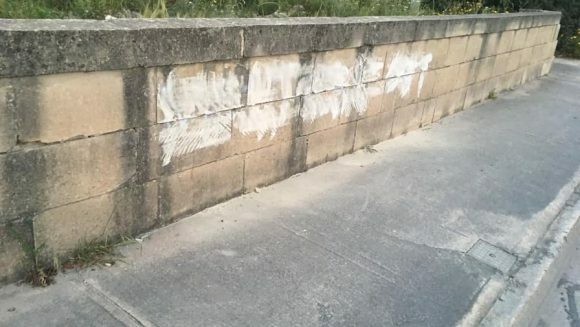 The Cleansing Directorate in recent weeks removed many other graffiti around Malta which disfigured the environment.